Microsoft 2014 E3 surprises ? Here’s a list of some of Microsoft E3 recently leaked “surprises”. 1. To start off on the “surprises” Halo 2 Anniversary is set to make an appearance to possibly unveil a beta to Halo 5. The source of the rumor has been proven to be right many times before and the Head of Xbox Phil Spencer has yet to deny any claims. we might have something here. 2. 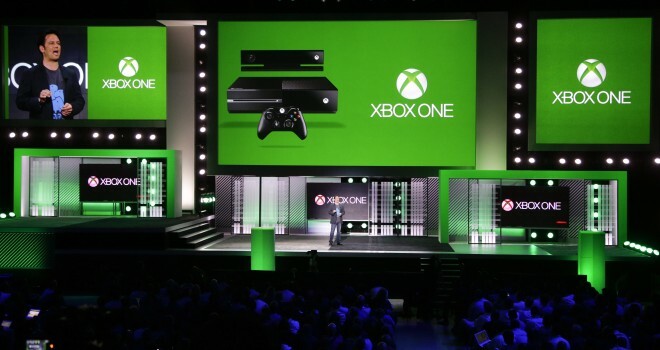 Games with Gold for the Xbox One is another “surprise” that may be shown at E3. Microsoft will be making sure small indie games are available for free right off the bat. Phil Spencer has notion to there being further adjustments to the program. Microsoft has confirmed that the first free Xbox One games with Gold will arrive in June. It will be subscription base similar to PlayStation plus. 3. Fable Legends might be making its way to Xbox One. The game seems to be presentable in the most recent screenshots to be shown at E3. The game is an asymmetrical, adversarial co-op experience in which up to four players try to complete a quest as Heroes while a fifth, Villain player or AI character places enemies and hazards. Also a conceptual trailer for Lionhead’s other game will be shown and is said to not have anything to do with Fable. 4. A Sequel to Forza Horizon game will launch this year, according to an indiscreet car manufacturer. It’s a possibility it will be subtitled “Deep South” according to concept art and will be set throughout a equatorial swampland. As of last August, Horizon developer Playground was “working on an exciting unannounced title for Xbox One”. 5. Microsoft has also been rumored to bring a new Xbox One like the ivory-white console that is exclusive to Microsoft employees. It has been also rumored that the new Xbox One would be disk drive less with a cheaper price. 6. Its been rumor for awhile that Microsoft would be bringing a Japanese exclusive to Xbox One. It is now said that it may be made by Platinum games makers of games such as Bayonetta. It is also Rumored that Rare is making a new game to further show the profound use of the Xbox One’s Kinect while possibly using old Xbox IPs.